Renee was born and raised in Santa Fe, NM. She has over 17 years of experience as a veterinary technician. She has worked with a variety of clinics in the Santa Fe/Albuquerque area and has extensive training and experience with several specialty departments including internal medicine, ophthalmology, emergency, and critical care. 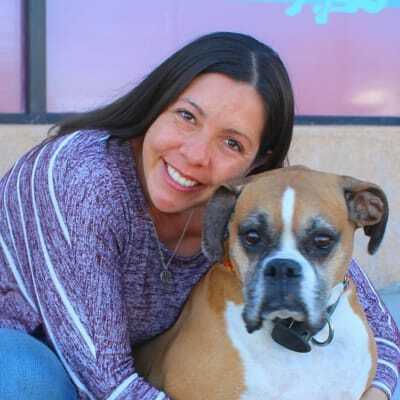 She decided to take her career in a different direction and joined ABQ PetCare’s team as the hospital manager in October 2018. She enjoys spending time with her four dogs, two cats and two horses. On her free time her hobbies are camping, fishing, hiking and gardening. Brianna was born and raised in Albuquerque, NM. 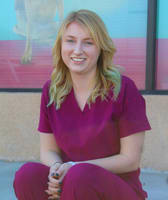 She has a background in human medicine and is currently attending CNM to complete her degree as a registered veterinary technician. Brianna’s passions outside of work include traveling, exploring breweries, outdoor activities, and spending time with her two senior dogs, Xander and Cujo. 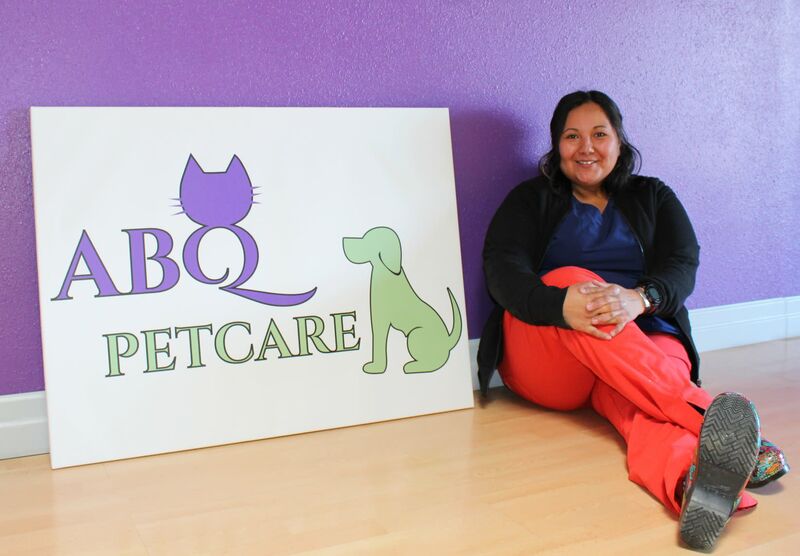 Brianna has been with ABQ PetCare since August of 2018. Ivy was born and raised in Albuquerque, NM. She graduated from Pima Medical Institute in Phoenix Arizona with an Associates degree of Applied Science in Veterinary Technology in 2013. Some of her favorite things about veterinary medicine are dentisty, anesthesia and training. Ivy and her partner Garrett share their home with their 3 dogs, Butterz, Ollie, Dusty, their cat Snack and a turtle named Peanut. When Ivy is not working she enjoys playing tennis, pickleball and sand volleyball. She also enjoys painting and other artistic crafts. 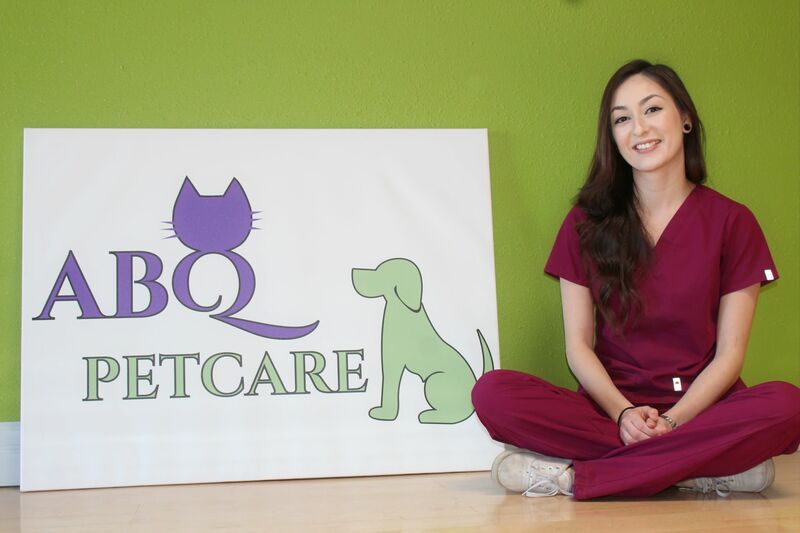 Ivy joined ABQ PetCare as our Lead Veterinary Technician in March of 2019. Alexa has been with ABQ Petcare since the fall of 2017. 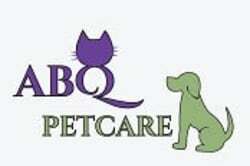 She enjoys being able to help each client and their pet’s; making sure everyone enjoys their visit at ABQ Petcare. She has two dogs at home, a french bulldog, Dinah and a pit bull Cheba. In her free time she enjoys spending time with her family and son Isaiah, visiting the zoo and aquarium, going to the movies, as well as making her annual trip to Disneyland every year! Adam’s passion for working with animals began as a young child. Working at ABQ PetCare has been like a dream come true because we care for a variety of species. 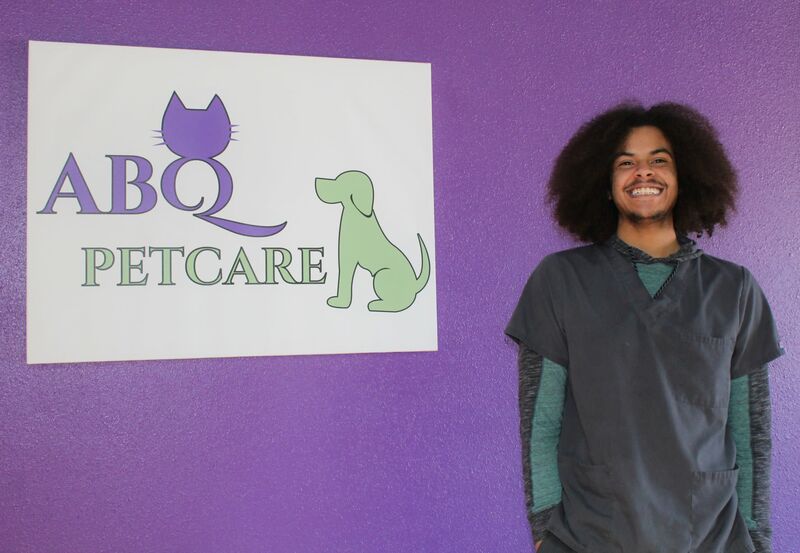 He completed Pima Medical Institute’s Veterinary Assistant program in early 2018 and has been a member of ABQ PetCare’s team since. Some of his hobbies include going on hikes and reading. He has a dog named Jessie, a cat named Katana, and a chinchilla named Palpatine.